John 1:14 "And the Word became flesh, and dwelt among us, and we saw His glory, glory as of the only begotten from the Father, full of grace and truth." In yesterday's post we considered what kind of Person Jesus Christ is revealed to be by way of His name: "Immanuel". As "Immanuel" or "God with us", Jesus Christ came in what has been termed His "incarnation". 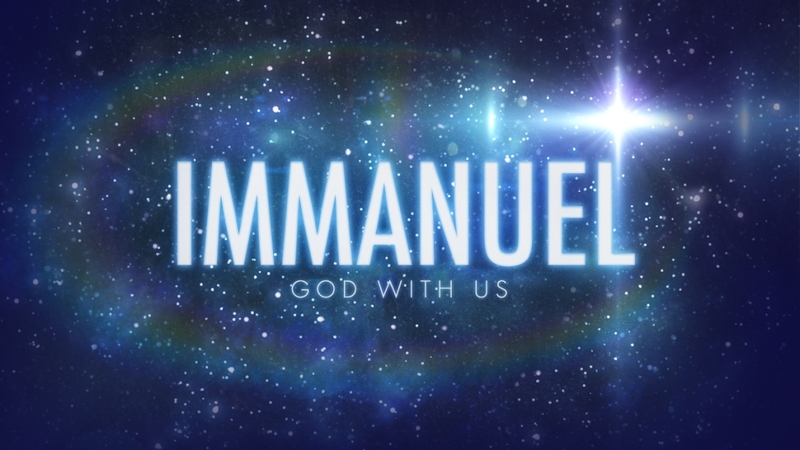 Today we want to once more consider the life-practical ramifications of Jesus Christ being "Immanuel, God with us". The human predicament is a phrase used by Christian thinkers to describe human life lived in such a way as to assume the non-existence of God and the denial of life after death. Thinkers such as the late Christian theologian Francis Shaeffer called such an approach to life: "The absurdity of life without God". Both God's existence and the concept of immortality (or life after death) constitute what is the necessary foundation for having meaning, value truth and purpose in this life. This entire issue can only make sense when we come to grips with who Jesus is revealed to be by way of His title: "Immanuel" (which again means "God with us"). We saw yesterday how Jesus Christ as "Immanuel" supplies the basis for life's meaning (i.e. significance) and value (i.e. the basis for objective moral values and duties). As God incarnate He brings to us the reality and existence of God and by way of His resurrection He brings to us the reality of life beyond this life (i.e. immortality). Without God and immortality, there is no basis within the frame work of this material reality for formulating the basis for meaning or value. Yet, since God and immortality have been decisively revealed in the Person of Immanuel, then we can proceed to live out life's meaning and value. Today we consider two other features of life that flow from the fact that Jesus is "Immanuel" - namely life's truth and purpose. Why the truth of life cannot be discovered apart from Jesus Christ being "Immanuel". Pilate asked one of the most important questions that could be ever asked in his conversation with Jesus in John 18:38 - "Pilate said to Him, “What is truth?” And when he had said this, he went out again to the Jews and said to them, “I find no guilt in Him." When it comes to defining what we mean by truth, on the most fundamental level we are referring to that which corresponds to the external world outside of our minds. Truth by its very definition is restrictive and exclusive. To say that there is no "objective" truth, but only whatever people say is the case, is to make an objective truth claim. When I say "objective" I'm referring to whatever is the case apart from whatever you and I may believe or not believe, agree or not agree. In the Christian worldview presented by the Bible, God is the source of truth (see Proverbs 2:3). Without God there is no truth and thus no standard by which to measure and define such qualities as "meaning", "value" and "purpose". What makes the Christian worldview and more specifically, the Person of Jesus Christ so profound, is the fact that "truth" is not just an idea, but a Person. Jesus Himself states in John 14:6 "I am the way, the truth, and the life, and no man comes to the Father but through me." As God incarnate, Jesus Christ as "Immanuel" brought "true truth" down to us, since He Himself is truth personified. The historical reality of Jesus of Nazareth as "God with us" provides the basis for which we can proceed on truth. The written Word of God - the Bible - is the truth of God in written form, with Jesus Christ being truth in living form. 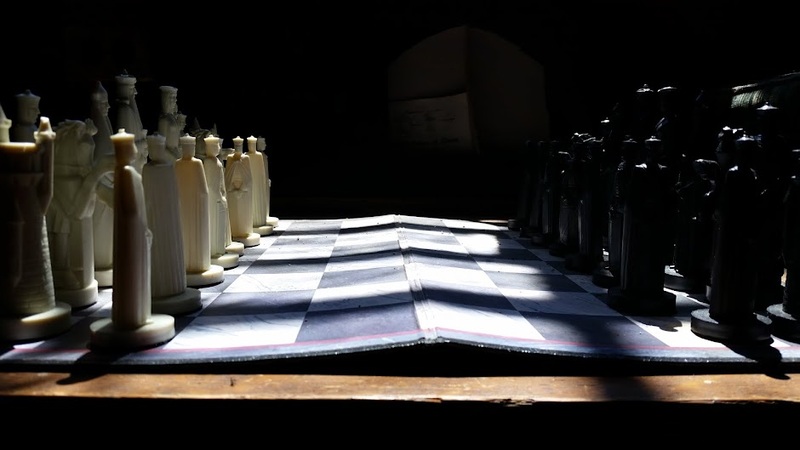 Why life is purposeless without immortality and without God, and how Jesus came to deliver both. God and immortality affirm a direction, an overall narrative and point to the universe. Moreover, the purpose is defined by the grandeur of the origin and the extraordinary means employed to reach the purpose or end point. Once more the incarnation and resurrection of Jesus Christ as "Immanuel" speaks to the provision of life's purpose. Jesus Christ as God incarnate delivers to me God on a one-on-one level at the moment of saving faith. In Jesus Christ there is an ultimate purpose to life. We discover in the Bible that Jesus is coming back to bring history to a close (see Titus 2:13). Furthermore, in Jesus the immortal life of hope that is looked forward to after death is fore-tasted by way of the new-life and new nature He delivers by the Spirit at salvation. As the old song states: "Heaven came down and glory filled my soul". We have explored in the last two days the practical ramifications behind Jesus' identity as "Immanuel". He delivers to us God and immortality, and thus provides the basis for life's meaning, value, truth and purpose. The Bible as God's written revelation has Jesus as its focal point and it alone explains perfectly the meaning, value, truth and purpose of life with respect to the Lord Jesus Christ. One cannot separate the authority of the Bible from Jesus nor Jesus from the Bible, since both are interdependent. Through Jesus alone can we escape the absurdity of life that attempts to conduct itself under the false assumption that there is no God. Only in Jesus Christ as Immanuel revealed through the Bible can we have the basis for meaning, value, truth and purpose.